This cottage, constructed in 1640 is stone-built like those adjoining it. Sadly, due to the state of disrepair in the 20th century, it was partly re-built. The internal walls however, are still the original stone, laid there almost 400 years ago by craftsmen of the day. These tiny cottages, stacked together like a pack of cards are tucked away among the narrow yards and ‘Ghauts’ in the oldest part of Whitby. The cottages have a long history and a historic past. Most of the buildings in the area are Grade 2 and Grade 3 listed, some dating back to the 16th Century, as does the property adjoining us and fronting Church Street. If walls could talk, they would have plenty to say about the days of smugglers and history of the press gangs, rife in this area at the time. Many of these buildings, ‘Awd Tuts’ being one of them, are known to have ‘hidden rooms’ where contraband was once stored. Looking out of the window from the top floor bedroom, it is very easy to understand how illicit gains were passed from window to window to avoid the Bailiffs, Police and Tax Inspectors below. Smuggled goods could travel from one end of Church Street to another, without ever touching the ground! Whitby Archives were used in an effort to track down census documents for the property. With help from an assistant at the Archives, a small part of the history of the cottage was eventually pieced together. These records showed that a well-known and respected family by the name of Dryden lived in the cottage from early in the 20th century until the start of the 2nd World War. The head of the family was named Thomas Dryden. Some weeks later, following the initial archive search, a phone call was received from the great grandson of Thomas Dryden. A relative who had been visiting Whitby, stumbled across the cottage brochure, and had sent it on to him. Fortunately, he was able to fill in some of the missing details and provided information about his great grandfather’s life, and that of his family. ‘Awd Tut’, derives from old Yorkshire slang, and means ‘Old Tom’. This was the nickname given to Thomas Dryden, born in Whitby in 1866. He was a fisherman and a member of the lifeboat crew in his younger days. Around 1884 Tom married Mary Ann Miller Sayer. She had 9 children within the space of 16 years. Five of these children died within the first few months of their lives, a fact of life not uncommon in those days. Their eldest daughter, Fanny, born in 1886 was a singer and by the age of 16, was touring the theatres and bringing home a wage. 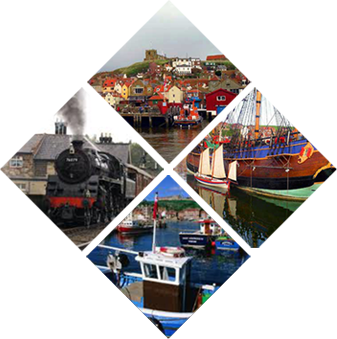 For a short time, the Dryden family moved to Hartlepool, so that ‘Awd Tut’ could work as a fisherman aboard the Hartlepool steam trawlers. It was here, that his youngest child John Robert, then aged 5, became infamous, earning his nickname ‘Stowaway’. The story of John Robert’s adventure provided the inspiration for a song and a children’s book in later years. At the time it was thought the missing youngster had been lost and drowned in the harbour. In fact, he had hidden on board his father’s boat, and was not discovered before the boat left for the open sea. This is recounted in more detail in ‘The Story of a Stowaway’. After the stowaway incident ‘Awd Tut’ decided to move his family back to Whitby, occupying a house in Henrietta Street. Tragically in 1906, Fanny became ill and died. Mary Anne, heartbroken by the loss of her talented daughter at only 20 years of age, also died within the year. The cottage history uncovered depicted some hard times. Following the deaths of both his wife and his daughter ‘Awd Tut’ bought this very cottage in 1908. Because ‘Awd Tut’ spent many weeks at sea his younger daughter Jane Elizabeth (known as ‘Jinnie’) who was then aged 11, was given the task of caring for the remaining family members. These were John Thomas (‘Young Tut’), ‘Stowaway’ and William. It was not unusual in those days for older children to be left in charge of younger members of the family whilst their parents worked. Jinnie’s younger brothers came to regard her as a mother figure, as well as a sister. When they grew older and left home, they would often call in for a chat, advice, or just to enjoy a pot of the stew that was always on hand for the local fisher-folk. Jinnie remained in this cottage, and eventually married a local fisherman by the name of Robert Harland. They had five children of their own, who all lived very happily in the cottage until around 1940. Jinnie also cared for an elderly blind man who lived alone nearby. Her kindness was repaid when she was bequeathed his house following his death. Jinnie then moved her family to the larger house. Afterwards, this cottage stood empty for some 30 years, until 1970. Later, Robert Harland Junior had it re-built, to save it from being demolished, living here himself until the mid 1980’s. He named the cottage ‘Awd Tuts’ – in memory of his great grandfather Thomas Dryden. ‘Awd Tut’ died in 1934, aged 70. He was a highly respected member of Whitby and the local fishing community. At his funeral, his coffin was carried by the Coxswain and crew of the Whitby Lifeboat. Despite extremely bad weather on the day, the cemetery was full of local townspeople who had come to pay their final respects. ‘Awd Tut’ was not the only heroic member of the family and as they grew older his three sons also became valued members of the Whitby Lifeboat team. ‘Awd Tut’, together with his sons ‘Stowaway’, William and ‘Young Tut’ have been credited with saving over 100 lives between them. A truly remarkable family, these were ordinary people, living in poor conditions, but who had ‘Hearts of Oak’, ‘Nerves of Steel’ and a courage and knowledge of the sea second to none. The above information has been compiled from the Dryden family history. Census forms, newspaper accounts, birth and death certificates, and stories from family members, pictures and documentation of the time were used too. This part of the cottage history is about John Robert Dryden who was Awd Tuts son. John Robert Dryden hated going to school, even though it was situated near to the cottage. 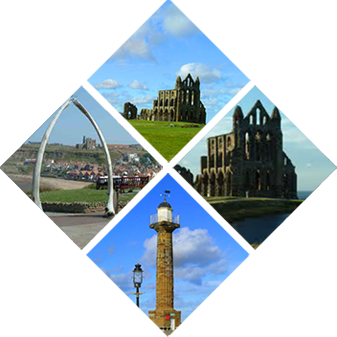 It is now the site of the Whitby Rowing Club just a few metres away from the cottage. He often played truant, preferring to go fishing with his older brothers. At the tender age of 5, after spending short spells with his father aboard the trawler docked in Hartlepool. Young John Robert Dryden was desperate to join his father and go to sea. Not wanting to be left behind while his father went away on yet another fishing trip, John Robert crept aboard his father’s trawler to hide. 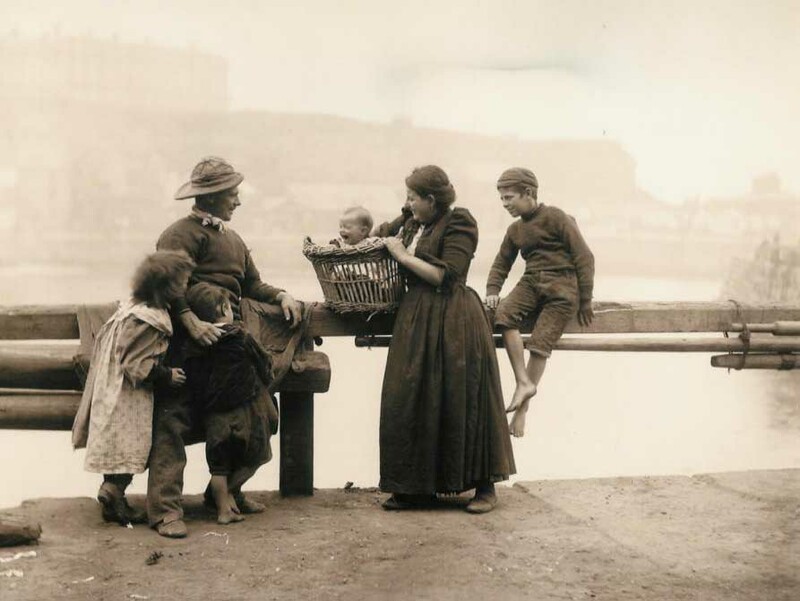 Among the hustle and bustle of preparing the boat for sea, the activities of the child went unnoticed. Finding himself a hiding place behind the coal-box down in the hold, John Robert stayed quiet. He become colder and hungrier as the boat made its way out of the harbour towards Dogger. He was found two days later by an astonished crewmember. Faint from his predicament, frightened and tearful at being caught, the boy, well known to all the crew on board, was relieved. His father was summoned. He was then comforted and warmed by some food. When asked what he was doing on his father’s boat, the boy replied, “I wanted to go in Daddy’s ship and not to school”. By this time, the boat had reached the Dogger where trawling was to commence. At this point it was impractical to turn back with an empty hold. Tom knew that his wife would be frantic, but in those days there were no radios aboard ship to notify the authorities. It was decided to carry on with the fishing trip. The barefooted boy was not adequately dressed for the cold weather. This prompted the skipper and crew to make up some clothes for him, fashioned from cut-down items of their own. Realising the distress his absence would be causing back home, attempts were made to get a message back to shore. Eventually, through signals passed to other boats returning home, the police were finally notified, much to the relief of his distraught mother. A search had indeed been initiated, the harbour had been dragged and nearby gypsy camps searched. All had assumed that the youngster had been lost in the harbour. There was much elation when mother and child were eventually reunited. Shortly afterward, ‘Awd Tut’ decided to take his family home to Whitby. It was where the young John Robert had by then, earned the nickname ‘Stowaway’ from the local fishermen and townsfolk. The cottage history having now gained a new chapter in the lives of this family. Later, these events were relayed in the book ‘Freeman of the Sea’. A children’s book ‘The Little Stowaway’ was also published about his adventure. A photograph of the Dryden family, showing ‘Stowaway’ as a baby, is featured in the back of this book.